Be Kind to YOUR Brickwork this Summer! The summer weather has got the whole of the UK in a good mood but spare a thought for your brickwork. Though it can't complain about the heat, it will nevertheless show its displeasure if not properly cared for! Hot sunshine causes thermal expansion pressure to build up within the bricks, causing cracks to appear. These fractures, if left untreated, will steadily deteriorate, possibly resulting in a loss of structural integrity and the ingress of moisture. Filling cracks in brickwork is vital task that reduces the risk of dampness and instability. 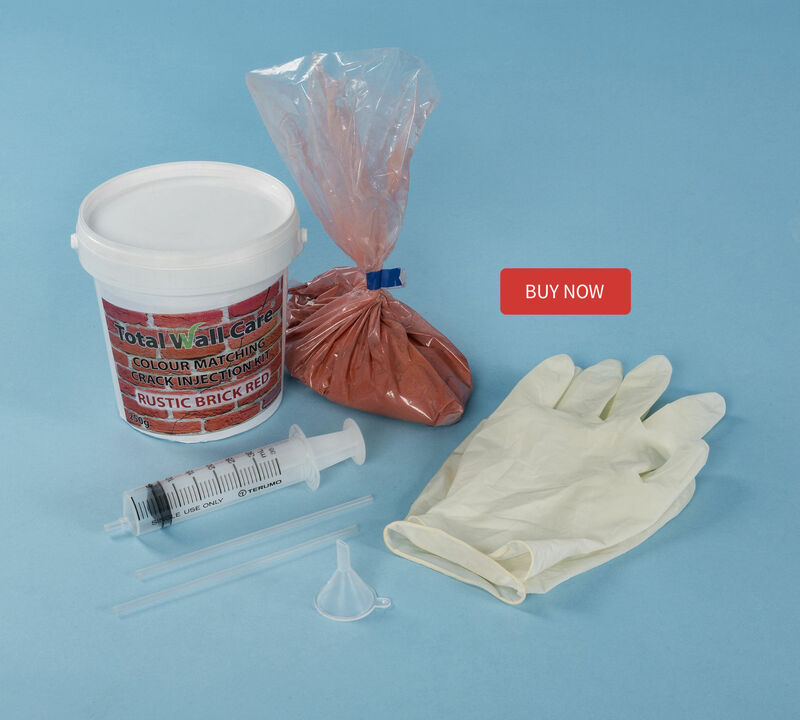 The task is made easy with Crack Injection Mortar from Twistfix; each kit contains 250g of pre-coloured injection mortar and a syringe with extension tube. Check out our step-by-step guide below. Prepare the area by making sure that there is no dust, dirt or other debris in the cracks to be filled. The product works best when bricks are pre-wet but not soaked. Fill the cracks using the product; this operation is facilitated with the supplied syringe and nozzle. Crack Injection Mortar is available from Twistfix in a range of different colours in order to match any style of brickwork. Only natural pigments are used and the product displays excellent adhesive charac­te­ristics. Discover more about our range of Crack Injection Mortar on the website and get in touch with our skilled technical team if you have any questions.